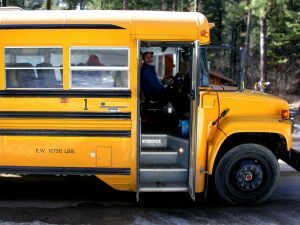 What Should I Do If My Child Was In A School Bus Accident? ROCHESTER, N.Y. – School bus accidents can happen anywhere, anytime. In fact, there are hundreds of school bus accidents in the US each year. What should I do if my child was in a school bus accident? It’s a tough question every parent should ask themselves before school starts. Although school buses are statistically safer than most vehicles on the road, they are some of the most serious accidents when they do happen. A Rochester bus accident lawyer explains step-by-step what parents should do when they’re notified their child has been involved in an accident. It always makes sense to gather as much information about a school bus accident as soon as possible. It’s also wise to do your own research; don’t rely on your child’s school to keep you informed because they could potentially be to blame for the accident. Make sure your child gets immediate medical attention. Their well-being is ALWAYS the top priority. Document Everything. Talk to your child as soon as possible to help them recall what happened. Talk to other parents too – and write everything down. Take photos. If you can’t take photos of the accident scene, at least take pictures of your child’s injuries. If your case has to go to trial, their injuries are likely to have healed by then, leaving you with no visual proof! Contact an experienced bus accident lawyer. There are strict deadlines that need to be met when you file a personal injury claim. An experienced bus accident attorney knows what to do, and when it needs to be done. It’s natural if you don’t want to consider a lawsuit right away, but consider this: you can get a FREE consultation with an experienced Rochester bus accident attorney at Cellino & Barnes. If you have any questions about what to do after a school bus accident, our team of trial lawyers can help you get answers. We understand this can be a stressful time, and we’re here to help alleviate as much of that stress as possible – for both you and your child. Contact us online or call Cellino & Barnes for a FREE case evaluation. NEW YORK – We usually talk about drivers when we discuss personal injury claims stemming from auto accidents; however, passengers get hurt in these collisions as well. Can I Get Compensation As A Passenger In A Car Accident? Passengers have a few different avenues for recovery that we will explore. It might sound awkward to file a claim against the driver who attempted to get you from Point A to Point B; but they (their insurance company) owe it to you. As a passenger, the driver whose car you got into was responsible for your safety. If it was his fault you became injured, he is responsible for using his insurance coverage to help you cover your accident-related damages. The driver’s policy should designate a portion of coverage to passengers. Sometimes this coverage is still not enough to pay off all accident-related expenses. Car accidents usually involve two vehicles, especially those in which passengers sustain harm. If the driver of the other car was partially at fault for the crash, you may as a passenger file a claim against them. This route may be more difficult since it is likely you will need to prove that he was partly at fault. A Manhattan car accident lawyer can help you gather the necessary evidence to support your claim. 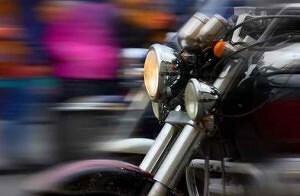 Those who sustain serious injuries can consider suing any driver involved in the accident for additional compensation. Taking legal action against multiple drivers may take longer to resolve your case, but ultimately with the right car accident attorney in Manhattan by your side, it can help you obtain the maximum compensation. Even if the driver is your friend, co-worker or an extended family member, you have the right to file a lawsuit against their insurance company. On paper, the lawsuit would be you against your friend, but the insurance company is more likely to be on-the-hook for paying your injury compensation. As you can see, passengers in a Manhattan car accident may resort to one of several options when seeking compensation for their injuries. It is imperative to speak with a knowledgeable Manhattan car accident lawyer to help you choose the path that’s best for you. Call Cellino & Barnes at any time for a free consultation. BUFFALO, N.Y. – Millions of drivers get into car accidents each and every year. Chances are, you’ll be involved in at least one accident within your lifetime. 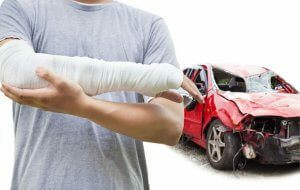 What would you do if you were Injured in a Car Accident? What to Do next is crucial, and the following steps could save you time, money and even your life. Car accidents are one of the top causes of severe injuries. Even a minor fender-bender can leave a driver or passenger with debilitating, permanent pain. From concussions to broken bones, it’s important to know what you should do if you’ve been hurt in a crash. Get Immediate Medical Attention. The faster medical experts can diagnose and treat your injuries, the faster your recovery time will be. Your Health Comes First. Even if you don’t feel any pain after a crash doesn’t mean you haven’t been injured. In the days and weeks following an accident, pay close attention to how you feel. According to a Buffalo car accident lawyer, it is very common for aches and pains to manifest 24 hours or more after a crash. If you experience any pain, it’s important to see a doctor immediately. There are a number of law firms that claim to have car accident attorneys in Buffalo, but not all of them can deliver the same results. At Cellino & Barnes, our team has decades of experience taking on the big insurance companies, and we’ve recovered over $2 billion for our injured clients. Have you been injured in a car accident? You’re going to want experienced doctors helping you recover. So, why wouldn’t you demand the same from your attorney? Call the Buffalo car accident lawyers at Cellino & Barnes for a FREE case evaluation, and find out how our team can help you get the best result possible. Who Is The Best Personal Injury Lawyer In Buffalo? BUFFALO, N.Y. – When you’ve been injured in an accident, you’re probably going to need a good attorney to help you get compensation. But Who Is The Best Personal Injury Lawyer In Buffalo? It’s a question many Western New York accident victims ask every single day. Every accident is different, and some attorneys may be better for your situation than others. Here, we’ll discuss how to find the best personal injury lawyer for you and your unique circumstances. Who Is The Best Personal Injury Attorney In Buffalo? Have they handled cases similar to mine? Whatever type of accident you’ve been in, you’re going to want to make sure that your legal team has experience handling cases similar to yours. You probably wouldn’t want a divorce attorney going into court with your car accident case. 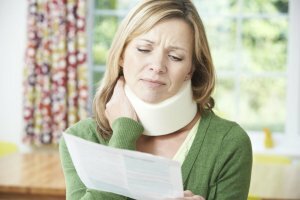 What does a Buffalo personal injury lawyer charge? Many law firms can charge you hundreds of dollars just for a consultation. Other law firms, like Cellino & Barnes, use what’s called a contingency fee. That means their policies prohibit attorneys from taking a fee unless the client agrees to settle a case, or they obtain a successful verdict. Have they helped their clients get positive results? The key here is consistency. There are dozens of personal injury attorneys in Buffalo, all of which claim they’ve settled cases for millions of dollars, but not all of them have the same experience or track record of consistently getting large settlements or verdicts. Do they have in-court experience? This may sound odd, but not all attorneys have tried a case in court. Many law firms aim to get a quick settlement, so they can move on to their next case. All attorneys at Cellino & Barnes have been trial tested, so you know they won’t hesitate to put your case in front of a jury if it will help you get the best result possible. Don’t rely on online reviews alone. Online reviews, such as those found on Google or Yelp, can be incredibly helpful when determining who’s the best Buffalo personal injury lawyer for you. However, you should evaluate each review individually instead of just looking at their score. Some businesses “pad” their scores with false reviews. These reviews are often easy to spot. Try to identify reviews from people who were actually clients of the firm. Compare and Contrast. Do your research and narrow your options down to just a few law firms. Do they check all of the boxes above? Cellino & Barnes has an entire team of experienced Buffalo personal injury attorneys, all of whom have tried cases in court – and won. Even if you’re not quite ready to hire a lawyer, you probably have many questions. Their team is available to help answer your questions at any time, simply call the number below for a FREE case evaluation. BUFFALO, N.Y. – Getting into a car accident can take anyone by surprise, and most people are unprepared for what happens next. According to car accident lawyers, Buffalo drivers should follow some basic steps after a car accident, including calling an attorney. The amount of time you have to find the right attorney is limited. 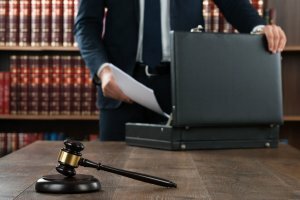 How Much Time Do I Have to Get a Lawyer After a Car Accident? Many people are in complete shock after a car accident, which is why it helps to remember a few simple steps to take immediately afterward. Contact the police. An accident report must be filed to provide to your insurance company, which you should also contact as soon as you can. Seek medical treatment. If you are hurt, you are advised to receive an evaluation from a physician, even if your injuries appear to be minor. Worse trauma can come up in the days and weeks following the crash. Take photographs of the accident scene to prove the damage to your car, your injuries, and any other circumstances that led to the accident. Exchange contact information with the other parties involved in the accident. Be sure to exchange driver’s license info, insurance company info, and phone numbers. You should be able to contact the other drivers after your accident, if necessary. Call a car accident lawyer in Buffalo to recover just compensation. As a no-fault state, you must take a settlement from your insurance company in New York even if you were not at fault for the accident. However, the offer you get from your insurer may not be enough to cover all the costs of the damages. An attorney can help you pursue fair reimbursement. How Long Should I Wait to Call a Car Accident Lawyer in Buffalo? Most people aren’t sure when to search for a Buffalo car accident lawyer, and many don’t know if it’s necessary. Still, if you’ve been injured, it’s best to have a professional on your side to protect your interests. One of the factors to take into consideration when thinking about calling an attorney is the statute of limitations. In New York, you have just three years from the date of the accident — not the date you discovered an injury — to pursue a lawsuit for damages. Although this might seem like more than enough time, taking legal action is a complex process that can take months to complete. The most reasonable time to contact a personal injury attorney in Buffalo to represent you in a car accident case is as soon as you possibly can. Why? When you meet with a Buffalo accident lawyer, you’ll get to know all of your legal options. It’s also important to discuss the details of the accident with a lawyer while they are still fresh in your mind. So, the sooner you call an attorney, the more likely it is that you’ll get the best result possible. The sooner we can help you, the better your chances of receiving the compensation you need will be. Contact us for a free consultation in Buffalo. Do Crayons Have Asbestos In Them? BUFFALO, N.Y. – In today’s age of “fake news,” it can be difficult to separate fact from fiction. Recent headlines have highlighted safety concerns with popular back-to-school supplies. One study claims it found dangerous asbestos fibers in crayons, and many parents are now asking, Do Crayons Have Asbestos In Them? The answer may not be so straight-forward as parents would like. It’s well known that asbestos fibers are the only cause of the rare and deadly cancer called mesothelioma. Asbestos can also cause other diseases, such as lung cancer and asbestosis, which can severely impact an individual’s health. More than 3,000 Americans are diagnosed with mesothelioma every year, and that number continues to grow. But should you be concerned about traces of asbestos in school supplies? Our Mesothelioma lawyers are here to help you determine what is fact, and what is myth. Contrary to popular belief, asbestos is NOT illegal. It is, however, highly regulated. Once widely used in manufacturing and common household goods, it has been mostly phased-out of production since the 1970s. Products containing asbestos must limit its concentration to less than one-percent. Although it’s a legal material, government agencies have not made it easy for companies to get a hold of. Asbestos mining has been completely restricted in the United States since 2002; therefore, any companies that seek asbestos for manufacturing must import it. According to the U.S. Geological Survey (USGS), roughly 300 metric tons of raw asbestos had been imported in 2017. Recently, the U.S. Environmental Protection Agency (EPA) issued what it calls a “significant new use rule,” or SNUR. According to the EPA, the rule will “require manufacturers and importers to receive EPA approval before starting or resuming manufacturing, and importing or processing of asbestos.” Although the rule sounds like it would restrict asbestos usage in the United States, it only includes 15 specific uses. These uses include products like vehicle brakes, vinyl floor tiles, cement piping, and clothing. Other products, such as crayons, may not require federal approval. When you’re back-to-school shopping, every parent wants to get the best for their kids – and their wallet. Unfortunately, some school supplies may contain controversial chemicals or materials, such as asbestos. These school supplies are most often manufactured overseas and imported. And yes, traces of asbestos have been identified in certain types of crayons, according to some consumer advocacy groups. According to researchers, online shopping is partly to blame. With so many products available on the web, many of which are imported, it can be extremely difficult to properly test and enforce bans on these products. In addition, materials like asbestos are not outright banned in the United States. Since most products are allowed to contain asbestos, up to one-percent, it becomes a logistical nightmare to prevent asbestos-laced school supplies from reaching the classroom. Such trace amounts are not typically dangerous for most people. However, the mesothelioma attorneys at Cellino & Barnes say asbestos can still be dangerous in accumulation. All it takes is one fiber to cause a deadly disease, such as mesothelioma. It becomes a numbers game. The more often an individual is potentially exposed to asbestos fibers, the more likely they are to develop a dangerous or deadly illness, such as asbestosis or mesothelioma. It is extremely unlikely to contract an asbestos-related disease from crayons. 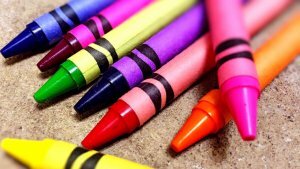 Researchers say the most likely mode of exposure is if a child eats a crayon, and even in this scenario, it is not nearly as dangerous as inhaling asbestos fibers. However, mesothelioma lawyers say the risk, albeit small, is there. Parents are urged to always check school supplies for nontoxic labels that can help them determine whether the product may or may not contain dangerous chemicals or asbestos. If you have any questions about asbestos, mesothelioma, or other asbestos-related diseases, a mesothelioma attorney at Cellino & Barnes would be happy to provide you with a FREE consultation. NEW YORK – Broadway stars have turned to social media to showcase their talented voices using a jingle almost every New Yorker knows – our famous Cellino & Barnes jingle. Using the hashtag, #CellinoAndBarnesChallenge, actors and actresses have been challenging others in showbiz to sing the jingle and put their own twist on it. The challenge began with “Waitress” actress Molly Hager, and has since developed hundreds of different renditions. Many of those who were challenged to sing the jingle did so with their own spin on it, such as Hollywood and Broadway star, Madison Lagares (Blindspot, School of Rock, On Your Feet). Other stars put together an entire performance. Fellow “Waitress” actress and Hollywood star, Katharine McPhee, teamed-up with Erich Bergen (Jersey Boys, Madam Secretary, Waitress) to sing their own version of the Cellino & Barnes jingle which has garnered over 100,000 views between the two of them. Cellino & Barnes representatives said the viral challenge is nothing short of magical, and its origins were completely organic. The Cellino & Barnes team has responded to the social media trend by challenging others to sing the jingle, using #CellinoAndBarnesChallenge. Because who knows; maybe you’ll be seen by showbiz brass and be called upon for their next Broadway show. NEW YORK – Car accidents are sometimes severe, even deadly, but most car crashes are considered “minor” where both drivers can walk away. But that doesn’t mean they’re not injured. Some of the most common types of car accident injuries include pain in the neck and back, which might not be felt for days or even weeks after a crash. Any crash can cause you to suffer physical damage, which is why it’s important to see a doctor even if your body feels normal after a collision. The sooner you get medical help, the sooner you can get evidence of an injury documented in the form of medical records, which a New York personal injury attorney can then use to prove a car accident claim. Here are some of the most common injuries you can suffer after a car crash in the Bronx. Head trauma such as a concussion, traumatic brain injury, internal bleeding, and skull fractures are among the most severe injuries you can endure in a collision. Unfortunately, if there is no visible wound, it may take days for symptoms like headaches to appear. Any person who suffered a severe blow to the head should seek medical care immediately. Injuries like whiplash, herniated disc, damage to your spinal cord, sprains, and strains are specific neck and back injuries that may require ongoing medical care and therapy. Soft tissue injuries cannot be seen with the naked eye and may not show up in X-rays, but that doesn’t negate the intense pain they cause the victim. Soft tissues include your muscles, tendons, and ligaments. When these tissues are stretched or torn in an accident, it can be difficult to conduct ordinary activities due to sheer discomfort. It can take years to recover from spinal cord injuries; and, depending on whether you experienced a complete or incomplete spinal cord injury, you may never make a full recovery. These car accident injuries cause the most trauma to your physical being and your mental state. It may take months of physical and occupational therapy to regain some movement and coordination; the first year of recovery tends to be the most difficult for victims. 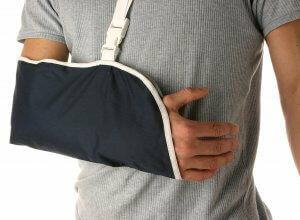 Broken bones often require surgery to fix and can take several months to heal. When conducting day-to-day tasks, you may have difficulty adapting to making do without the limb that sustained harm. From minor to severe burns, these injuries are excruciating and may need a lengthy recovery. The most severe burns may require skin grafts and can cause permanent damage like scarring and disfigurement. Contact us for a free consultation to discover your legal options for financial recovery after a New York car acident. NEW YORK – The U.S. Food and Drug Administration (FDA) has expanded its voluntary Valsartan recall; a medication prescribed to treat high blood pressure and heat complications. According to our personal injury lawyers, New York pharmacies are pulling a number of medications containing Valsartan off their shelves. The FDA recently discovered traces of a chemical known to cause cancer in the drug, sparking the massive recall. Officials with the FDA first issued recall notices in July when doctors discovered traces of N-nitrosodimethylamine, a known carcinogen, in over 70 different medications, all of which contained Valsartan. The recall does not affect the United States alone, as the European Medicines Agency has issued a similar recall. 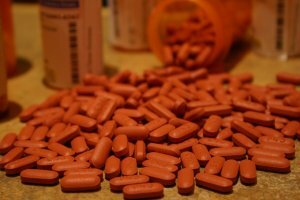 Personal injury attorneys in New York say this global recall effort has also put drug manufacturers under a microscope. Generic valsartan is commonly produced by Chinese companies, which are often the subjects of controversy due to the production of defective drugs or counterfeit drugs. If you have been taking valsartan and have experienced odd side-effects or have been diagnosed with cancer, you may be eligible for compensation, which can help pay for your medical bills, lost time at work, pain and suffering, and more. Make a FREE call to the experienced medical malpractice attorneys at Cellino & Barnes to find out if a Valsartan Recall Lawsuit is right for you. The expanded recall includes dozens of different prescription medications, but many drugs containing Valsartan are NOT in this recall (See The Drugs Not Included in Valsartan Recall Here). Whether it’s been recalled or not, here are some steps to follow if you’ve been prescribed valsartan. If you’ve been prescribed any medication that contains Valsartan, contact your physician immediately. Because valsartan is used to treat serious medical conditions, DO NOT stop taking the medicine until you’re prescribed a replacement product. If you aren’t sure if your medicine is on the latest recall list, contact your pharmacy. They will have the most up-to-date recall list and should be able to inform you if the drug(s) you’re taking are affected. Finally, talk to the New York medical malpractice lawyers at Cellino & Barnes for a FREE consultation. Valsartan may be considered a dangerous drug, and those who’ve suffered damaging side-effects, as a result, may be owed compensation for any injuries or illnesses caused by the medication. Medical malpractice law firms like Cellino & Barnes have experienced lawyers and former doctors on staff who can assess your situation and help determine a proper legal course of action for you and your family. Since valsartan can affect the cardiovascular system, the side-effects could include cancer, brain injuries, heart complications, or even wrongful death. Our team has years of experience battling the big drug companies in court, and our malpractice attorneys can help you get the best result possible from a case involving valsartan.